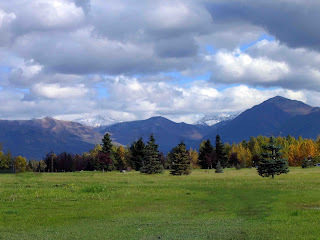 I woke up this morning with images of Alaska in the Autumn flickering in my brain. 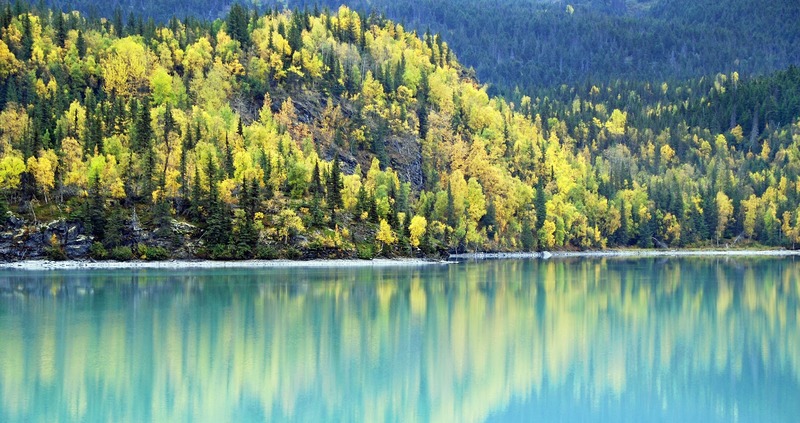 Canary yellow foliage reflected in a milky green lake. 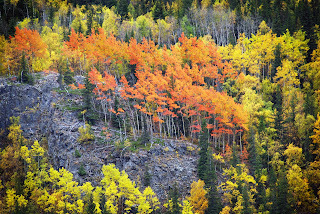 Thatches of amber-hued leaves glowing atop tall, slender trees. 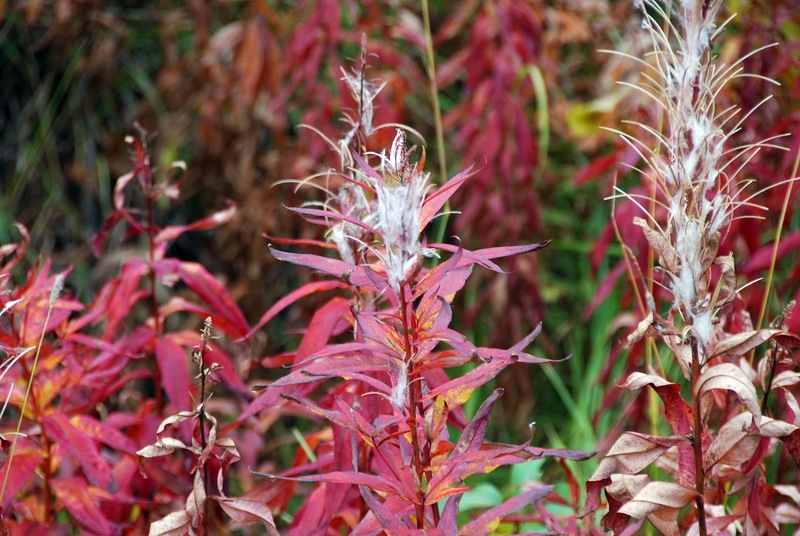 Fields set ablaze with stalks of crimson fireweed. 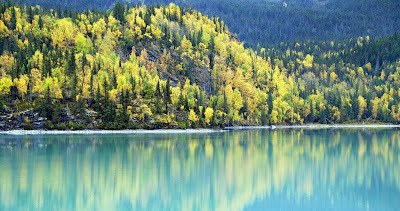 I loved the way Alaska looked in Autumn, painted in vibrant colors that could have only come from God's palette. Some crisp mornings, before the sun had chased away the chill, I would grab my camera, hop in the car, and drive around snapping shots of the masterpiece unfolding before me. I always felt a strange melange of emotions: awe and elation to be witnessing such beauty and sadness in realizing it would soon end. I would look at the world around me and feel an impending sense of gloom, as the termination dust crept further down the mountains signaling winter's approach. I don't know why I woke up this morning thinking about Alaska in the Autumn. I did not enjoy my time in that barren wasteland (devoid of sunshine and shopping malls). For me, Alaska came to be a place of cold, dark, loneliness. It is a place I associate with hardship and misery. And yet...images of Alaska in the Autumn continue to play in my mind like a favorite movie, flickering on a screen somewhere deep in my brain. Memories are like that, though, aren't they? They flicker to life without warning, forcing you to play and replay a scene you have viewed many times before. As I look at these photographs, I must confess that I view my time in Alaska as a mixed blessing. I am thankful to have beheld such beauty, to have witnessed God's awesomeness up-close. Yet, I am as thankful to have left it behind. Termination dust on the mountains. Would you like to read more about my complicated love/hate relationship with Alaska? Read my article There's No Place Like Paris. Alaska IS a magnificent place, indeed, and I am SO happy I got to experience it with you, thank you for showing me its beauty! Great photos as always! I love your photographs. 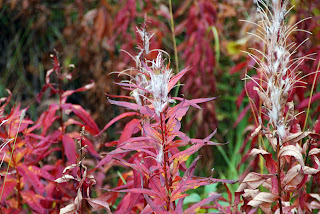 Especially the one of my new favorite plant, the Fireweed. I'm in the process of editing an in-house health care newsletter and wonder if you would approve my using the photo, with a photo credit. If that's not cool, no problem, just make a note here and I won't use it. Soooo pretty thouth. SARA ~ Please feel free to use that photograph with proper accrediting. I would love to receive an ecopy of your newsletter.